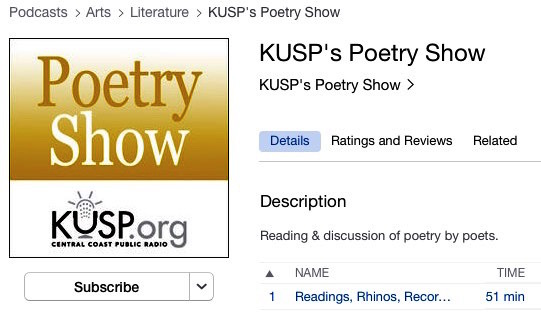 Last Sunday host Dennis Morton highlighted the Rhino Anthology on KUSP’s weekly Poetry Show broadcast from Santa Cruz, California. He movingly reads a selection of the poems and the introductory material of the book. 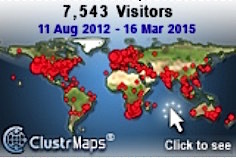 Even better, KUSP’s blog page promises more readings from the Anthology at a future date. You can listen to the podcast by clicking through to the Poetry Show website at KUSP. All of the KUSP Poetry Show podcasts are in iTunes, see below, and I’m sure you’ll agree that it’s great that the Anthology is now reaching a much wider audience.